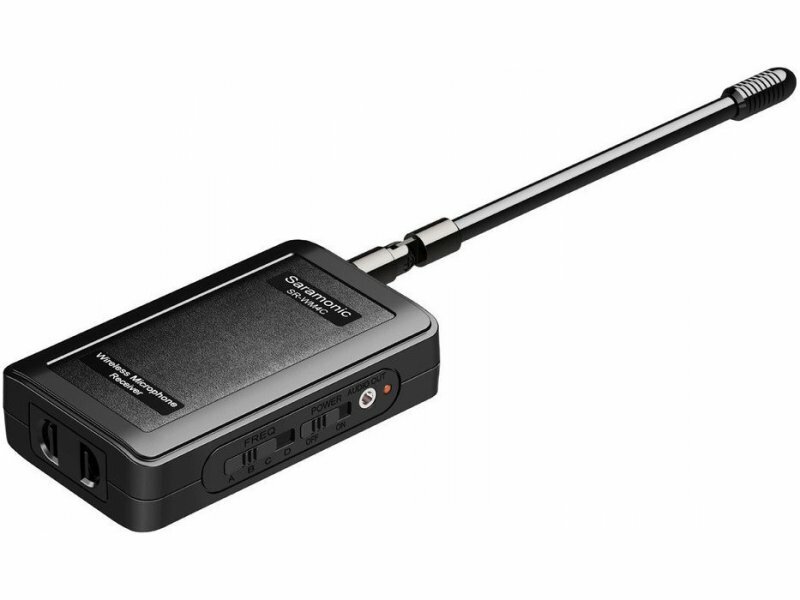 The Saramonic SR-WM4C is a portable, camera-mountable VHF wireless lavalier system that delivers impressive sound quality at a budget friendly price. 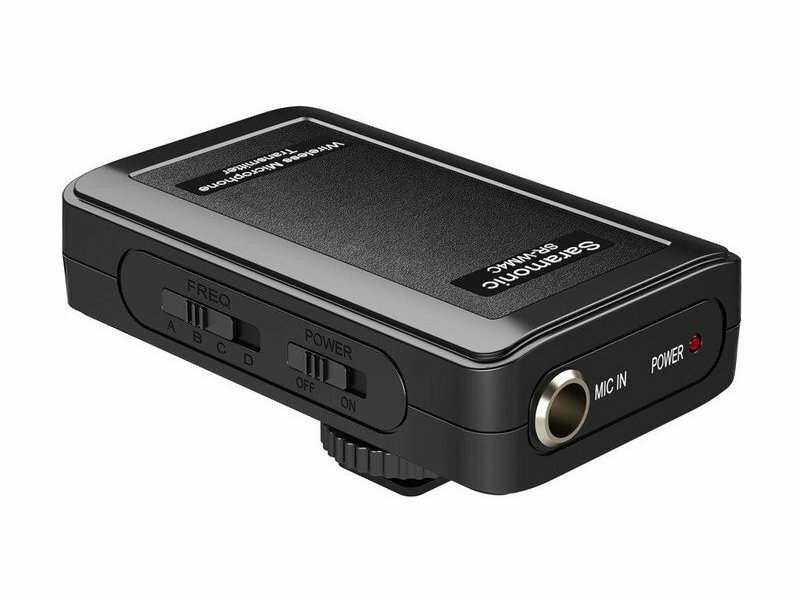 This system is ideal for DSLR, video cameras or portable recorders for capturing interviews, film dialog, field recording, broadcast TV and news gathering. The SR-WM4C system features high-band VHF transmission for clear, rich sound. The included, slim and low-profile omnidirectional lavalier microphone plugs into the transmitter with a professional, locking 3-pin mini XLR connector for a solid connection, that won’t fall out during a shoot. 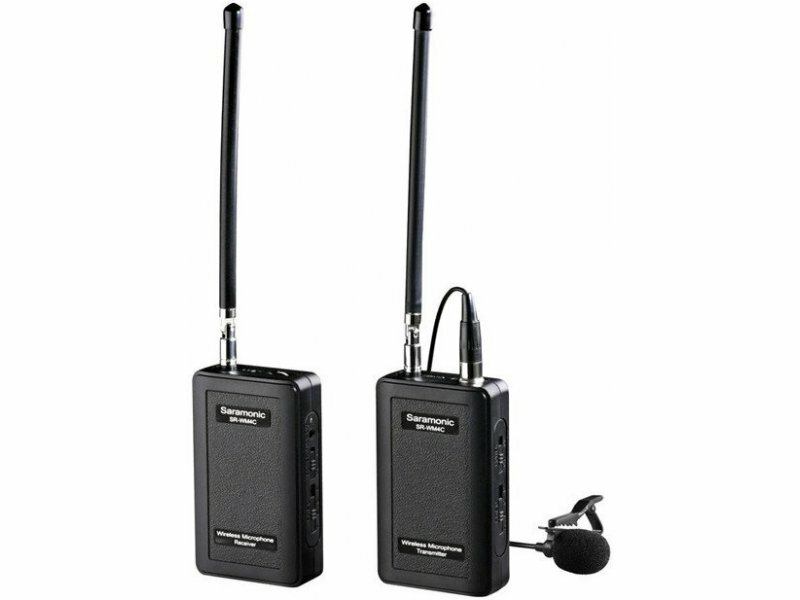 The transmitter and receiver are lightweight and easy to use, just plug in the mics, turn on the power and go. Four switchable channels to keep you free from interference and allow you to add more systems to your set-up offering flexibility and function while delivering high-quality audio. Each unit runs on 2 AA batteries for up-to 5 hours of operation time and the LED indicator lights indicates battery life. 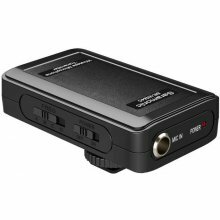 The receiver also includes a headphone output, enabling real-time audio monitoring if your camera lacks a headphone output. The SR-WM4C system is also expandable. Optional transmitters and output cables (sold separately) are available, giving you unrivaled flexibility. Making it possible to add a wireless handheld microphone or a wireless plug-on transmitter, and to connect the RX9 receiver to smartphones, tablets, computers, GoPro cameras and more.